' vinSUITE - Blog - Where Does Customer Loyalty Come From? In a world of endless options, information, and the ability to “opt-out” of any commitment or obligation at the click of a button, it can be incredibly challenging for any business - let alone one within the highly competitive wine industry - to gain and maintain customer loyalty. Yet, there are wine brands that not only achieve customer loyalty, but somehow make it look easy. How the heck do they do it?? First, let’s tackle the issue of why customer loyalty matters. Far too often we get side-tracked by trying to gain new customers that we fail to realize just how important existing ones are. According to the White House Office of Consumer Affairs, on average, loyal customers are worth up to 10 times as much as their first purchase. Other studies have shown that it costs businesses 6 to 7 times more to acquire a new customer than keep an old one. Additionally, 55% of U.S. consumers express loyalty by recommending the brands and companies they love to family friends. The numbers don’t lie... customer loyalty is mega-profitable. So what can you do to increase loyalty, as well as use measurable systems to track your service efforts? Start by mastering the five key influencing factors of brand loyalty: Customer service satisfaction, perceived value, communication, brand trust, and shared values. "It’s very logical: There is proven ROI in doing whatever you can to turn your customers into advocates for your brand or business. The way to create advocates is to offer superior customer service." A 2011 report published by American express revealed that 3 out of 5 customers were willing to give up a former favorite brand in order to have a better service experience. What’s more, 9 in 10 Americans are willing to spend more money with companies they believe provide excellent customer service. Obviously, you can’t please everyone all the time, and customer service blunders will happen. However, you can go the extra mile by making it easy for customers to get in touch with a person by clearly displaying your phone number, email, and social media links on your website. Train staff to really listen to complaints and promptly address them. Moreover, be transparent. It’s tempting to try and cover up mishaps, but owning your company’s shortcomings will pay off bigtime in customer loyalty points. Pro Tip: Don’t underestimate the power of profiles! 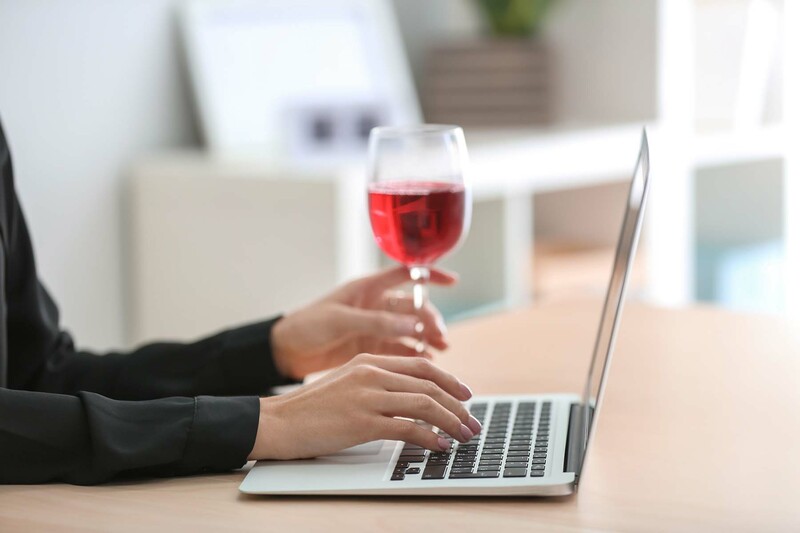 Use your winery CRM system to store as much information about your customers’ preferences, complaints, visits, and purchase history as you can. This will ensure that every interaction is a genuine and personalized one. 92% of loyal customers rank price and value as the top driver for loyalty to specific retailers. One way to ensure that your customers see value in what you’re offering is by providing unique details about your wines and your business. Tasting notes are lovely, but explaining the how & why behind your brand (without getting too technical) will go much further in creating perceived value. Also, don’t be shy about displaying awards and testimonials on your website and social media accounts. Social Proof - the positive influence created when someone finds out that others are doing something - is a great way for new customers to learn about your product or company. Pro Tip: Investing in a business intelligence tool designed for wineries can help you better analyze your operations and discover issues or opportunities that you may be overlooking. Ultimately, this will allow you to truly add value to your products and services. 51% of U.S. consumers are loyal to brands that interact with them through their preferred channels of communication. While email marketing tends to have the highest ROI, what matters is that your customers welcome your attempts at communication. Many wineries have seen tremendous sales from simply picking up the phone and calling their customers with relevant offers. Again, not every customer type will respond to the same tactic, but being vigilant about collecting contact information and preferences will boost loyalty and sales. Pro Tip: Display preference-based marketing questions on your website to help properly segment customers right from the get-go. Then use tools such as vinSUITE's list builder for easier email marketing and automation. Given that 85% of U.S. consumers are loyal to brands that safeguard and protect the privacy of their personal information, it stands to reason that you should place an enormous amount of emphasis on keeping your systems up to date. However, trust goes beyond just data encryption. Being consistent, following through on promises, and (again) being transparent about your business will help to build trust and loyalty. Pro Tip: There's a lot to know about data these days: Cloud-based software, EMV processing, user permissions… Is your system up to speed? Most customers aren’t just loyal to any one business, they are loyal to what the business stands for. In fact, 89% of American consumers say they are loyal to brands that share their values. What your company stands for doesn’t have to be grand and lofty. Communicate your mission statement, winemaking and business practices, outstanding customer service and employee satisfaction, or involvement in the community. Are you family or pet-friendly? Exceptionally handicap-accessible? Love rock music or modern art? Those are worthy values too!